What can possibly set the mood faster than great music? Atmosphere! More to the point.. Lighting! Whether it is the florescent lights at a dentist office or the bright audio triggered lasers at the club, lights invoke feelings in all of us. That is why Snyder Entertainment has worked hard to develop an amazing arsenal of lighting options that we can transform your event with. We have stretched into the world of wireless LED lighting to reduce our footprint on this earth while becoming quicker and more mobile with our venues. 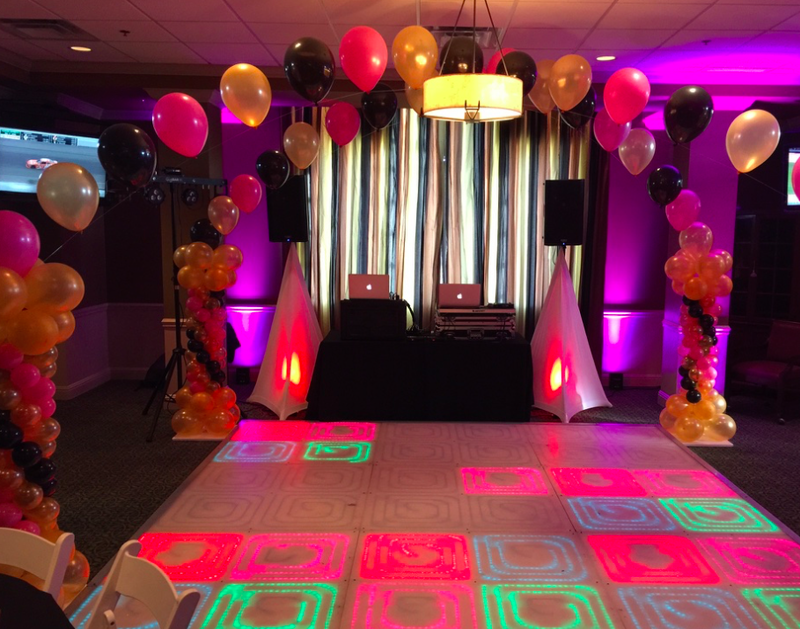 It doesn’t matter if your event is a Wedding, Corporate Event, Dinner Party, Sweet Sixteen Party, Sorority or Fraternity Function, or a Murder Mystery Dinner; our Lighting Design skills can completely transform any situation. 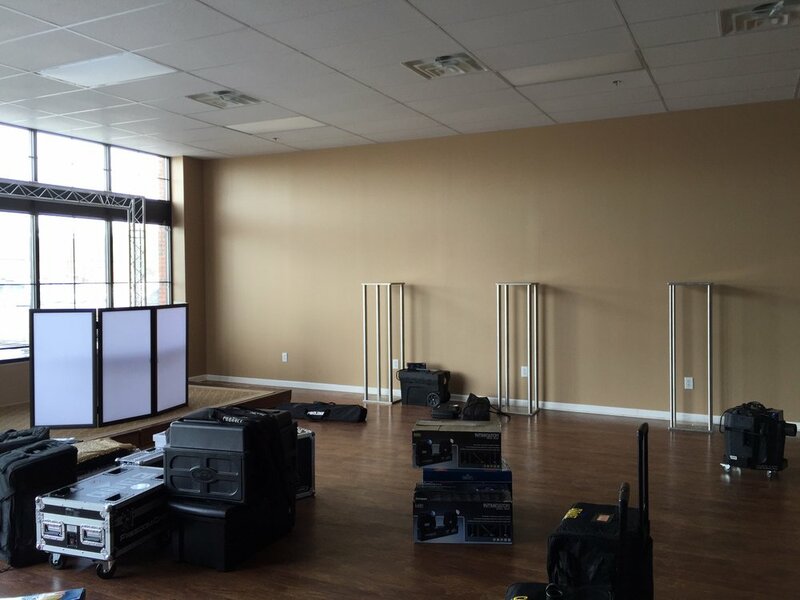 Every room is different so all of our designs are custom made with you and your event in mind! 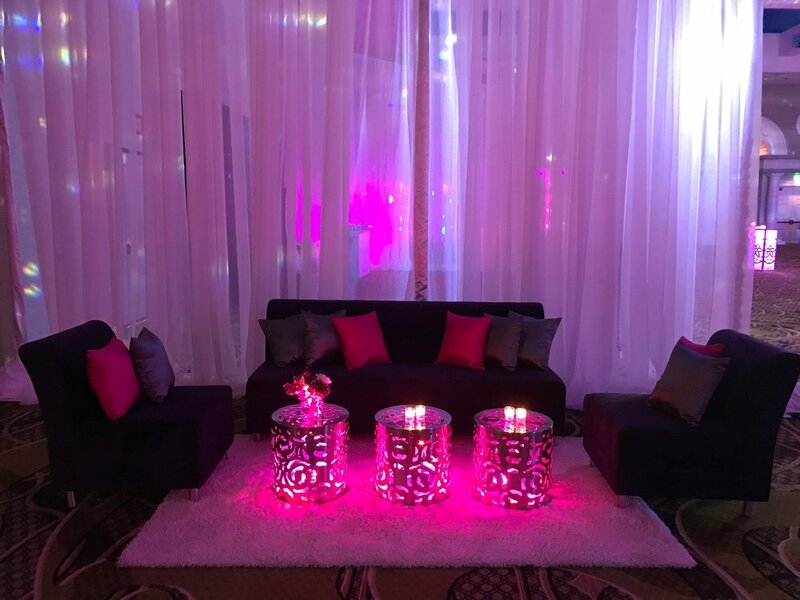 Lighting can quickly transform a space from drab to fab, all the while adding a new energy + vibe to your event. Take a look at some of our past event lighting examples below to see it for yourself..
Snyder Entertainment has taken a vow to up the game in lighting design. We use a large amount of state of the art wireless LED lighting which allows us to easily transform any room while being more eco-friendly. Does your room need a total transformation? There is no reason to hire multiple companies when you can hire just one…Snyder Entertainment. Contact us today to learn more and book your next even with our team!